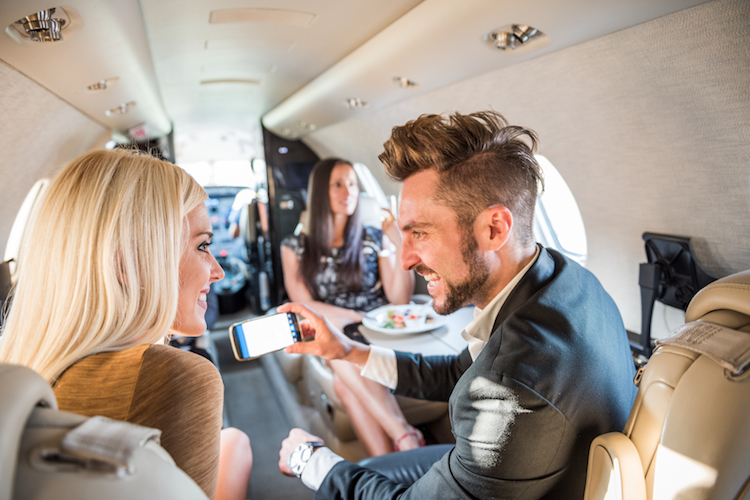 From how to pack to what to wear, here are 5 things you need to know about private jet etiquette before flying private for the first time. If you’re about to fly private for the first time, you’re probably new to the etiquette of private travel. And if you’ve been invited by a host, it’s important to understand how to travel respectfully so you’re invited back. Unlike arriving two hours early to the airport for a commercial flight, you only need to arrive at the private airport about 30 minutes before your flight. But just because you get to enjoy the luxury of no baggage check or security lines doesn’t mean you shouldn’t be on time for your flight. This is especially true if you’re sharing the flight with friends or colleagues, or if you’ve been invited on the flight as a guest. Arriving on time will be appreciated by your captain and make sure you and your host make it to their upcoming meeting or destination on time. Small aircrafts often have safety-related weight restrictions, so don’t bring a heavy bag on board. If you’re told to bring only one piece of luggage, be respectful of the rules and only bring one bag to avoid delays and complications. Being invited to fly private is a luxury, so make sure you dress the part. Leave the flip-flops, jeans, sweatshirts and t-shirts at home. And if you’re flying for business, dress accordingly. The front few rows of an aircraft are often reserved for the host. To avoid any seating slip-ups, board last or move to the back of the jet unless otherwise instructed. Savor the foods and beverages provided on your flight, but enjoy them responsibly and don’t overindulge. This is especially true with alcohol — being drunk or boorish will embarrass your host or colleagues, and probably make this private flight your last. If you have specific diet restrictions or are craving a certain type of wine, ask about these provisions in advance so the crew has a chance to meet your needs. Flying private for business for the first time may have you wondering how to pack the essentials without over-packing. Here’s your essential business-trip checklist when flying private.